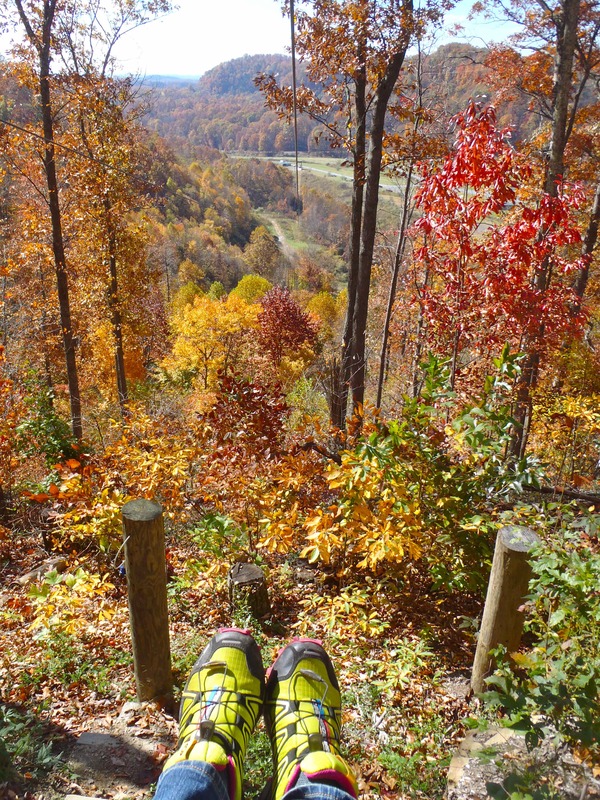 My new kicks at the top of Burning Rock’s 2,500-foot zipline! After a day spent watching 450 BASE jumpers leap, flip and dive off of one of the world’s most impressive bridges at the New River Gorge, I was jonesing for an adrenaline fix. 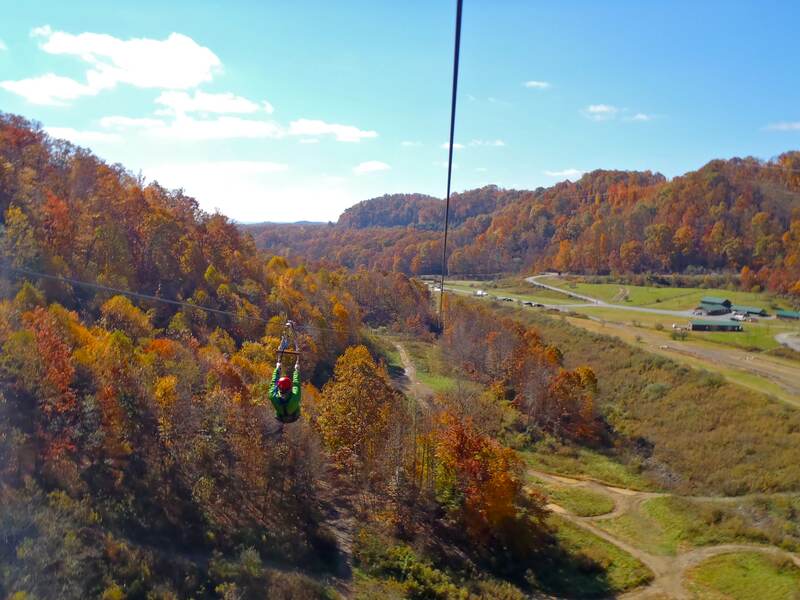 So when my cousin invited us to go ziplining at Burning Rock Adventure Park in Sophia, West Virginia, I said yes please! I’ve been ziplining a few times, most recently in August in Nebraska, when I crossed paths with a Hastings College biology class on a field trip in Nebraska National Forest. 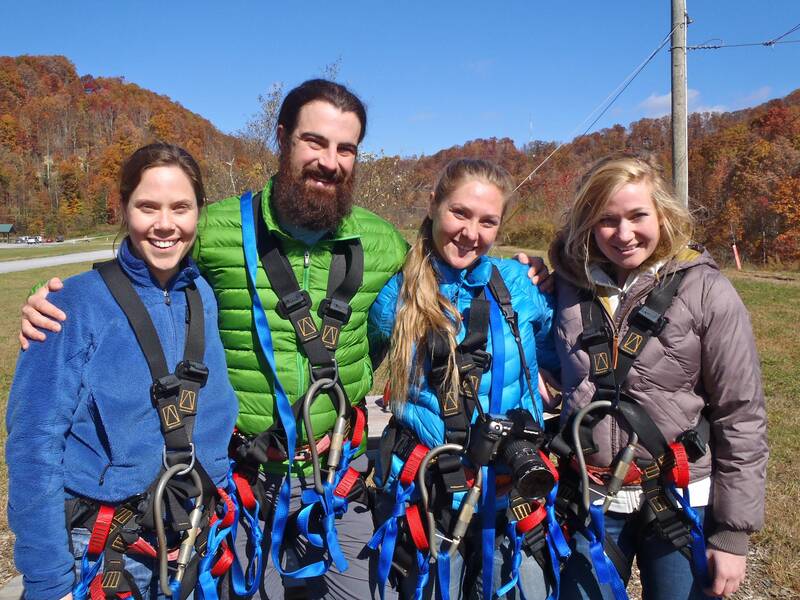 I mentioned I was a bio major back in the day and they invited me to join them on their next stop: ziplining. As a rule, when I’m on the road, I never turn down an invite! Burning Rock’s zipline was a whole other animal: 2,500 feet long, 300-foot vertical drop, 150 feet off the ground, topping out at 60 miles per hour. This place puts the ZIP in zipline! 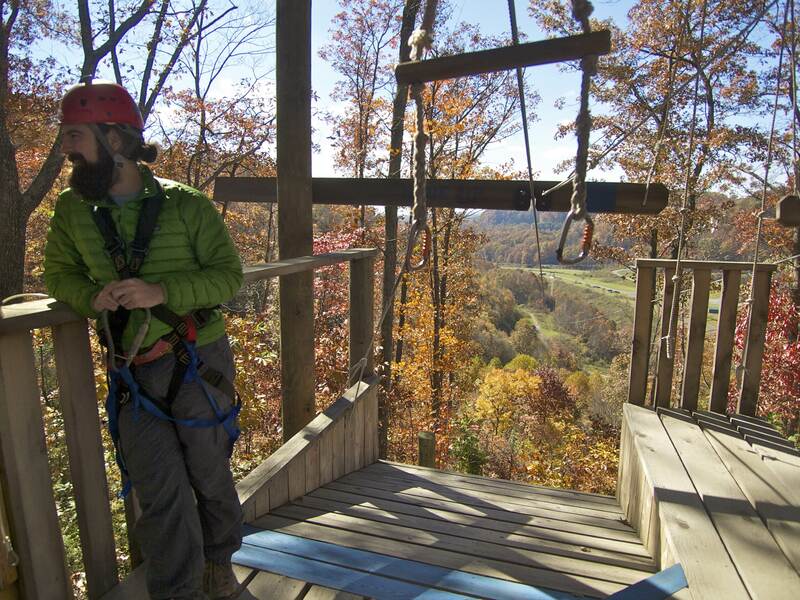 Bonus: why build one awesome zipline when you can build two side-by-side? That’s right! This is a dual racing zipline! Very cool. Drew winning our zipline race. I can’t compete with that kind of gravity! 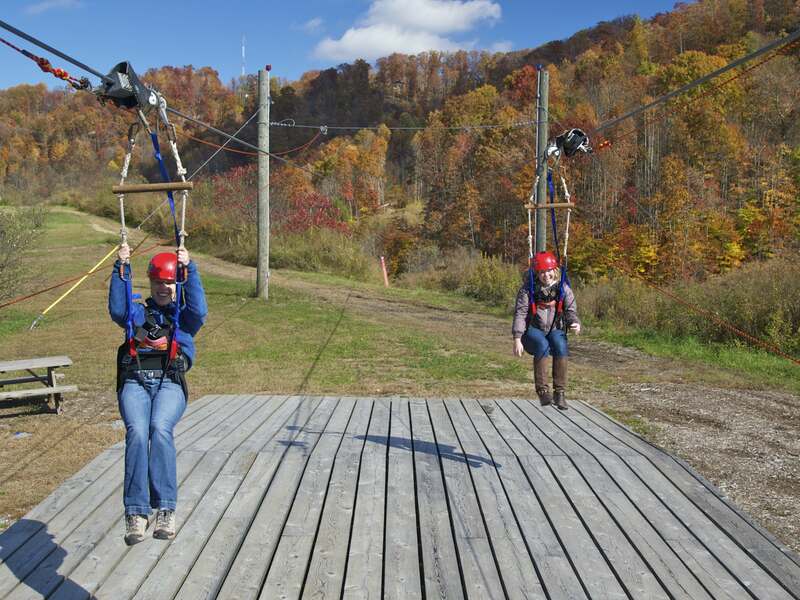 My cousin Elizabeth (L) and my sister Sarah (R) at the bottom of the zipline. Zipline Family Photo! Those harnesses don’t mess around. Leaf season is peaking in Virginia! Stay tuned for a post from one of my favorite places on Earth: Shenandoah. This entry was posted in Photography, Road tripping!, Uncategorized, Vagabonding 101 and tagged West Virginia, zip line, ziplining. Bookmark the permalink. Those are the biggest caribeaners I have ever seen. what fun! I could feel the wind just looking at the pictures. What a blast you had! I wish I could go and try out these zip lines, they look awesome. You had such a perfect autumn day to enjoy them. So happy for you. Whee! And all the fall colors–even your shoes! Another great post, not sure if you get your feet in shots as some kind of signature – hope so ‘cos it’s a great trade-mark (as well as adding perspective and, in this case HEIGHT/DEPTH!